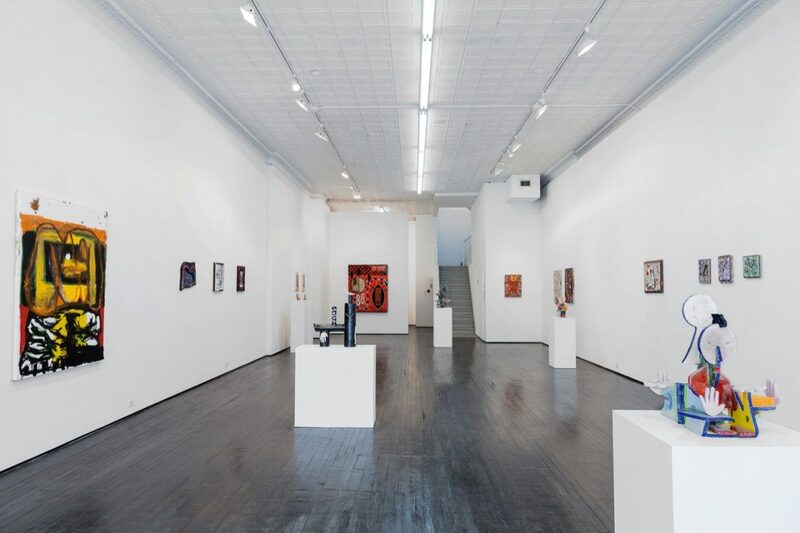 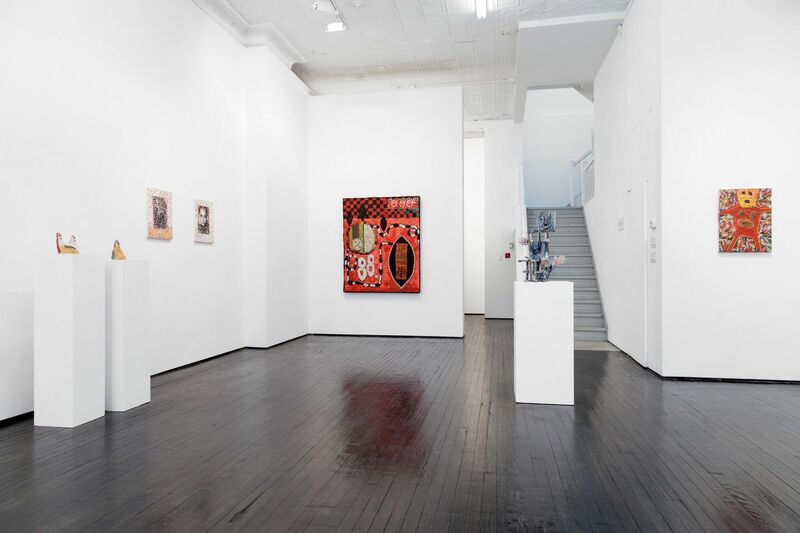 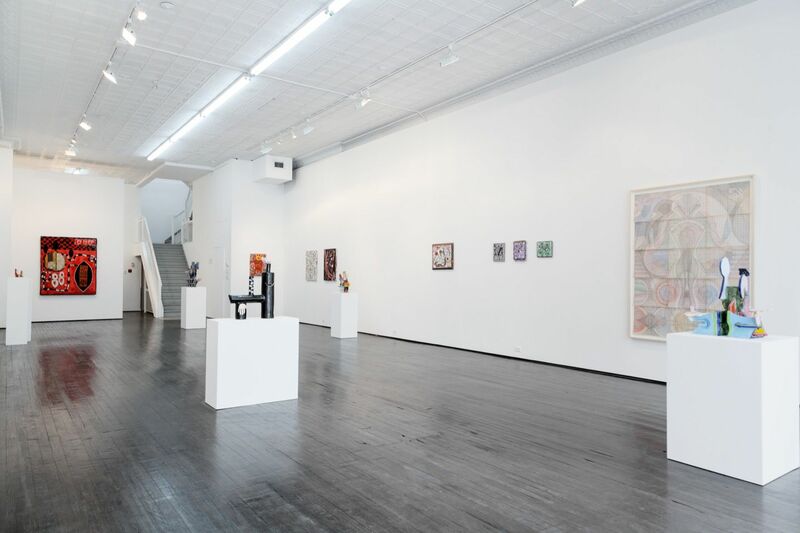 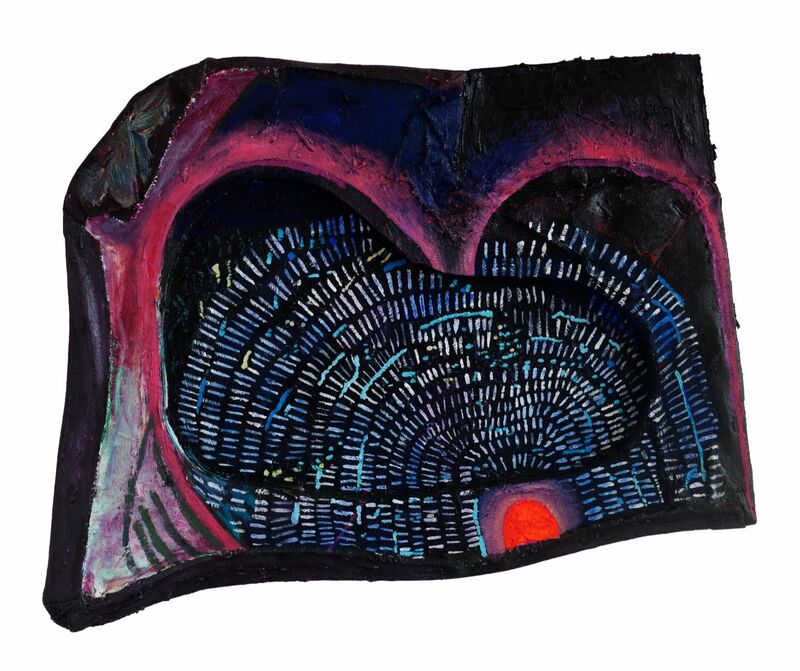 Nicelle Beauchene Gallery is pleased to present The Faraway Inside, a group exhibition that focuses on art and the subconscious, bringing contextually elusive, esoteric and psychological practices into a contemporary arena through painting, drawing and sculpture. 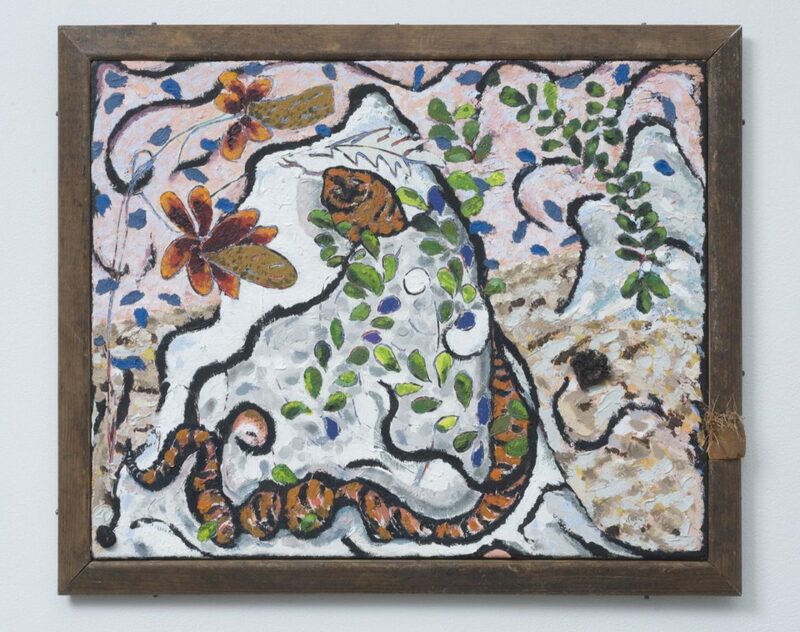 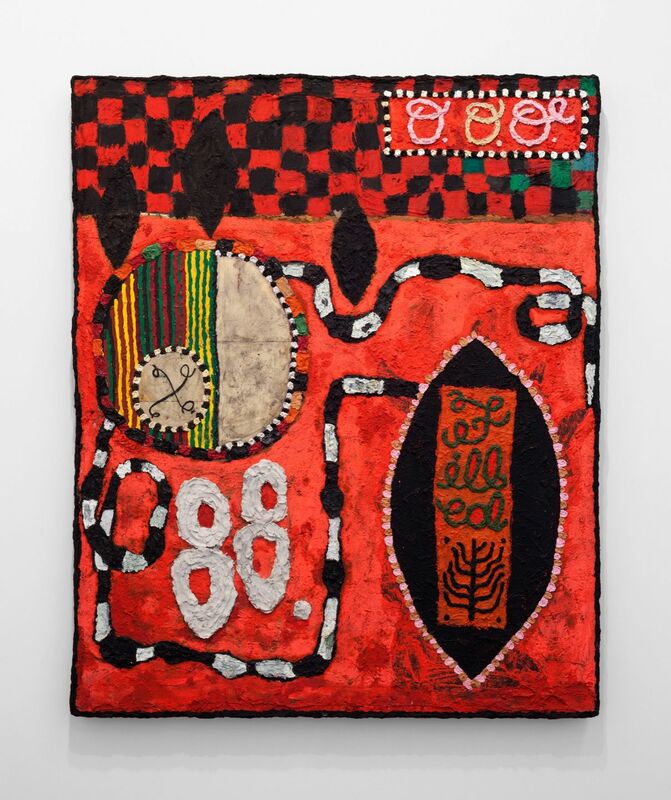 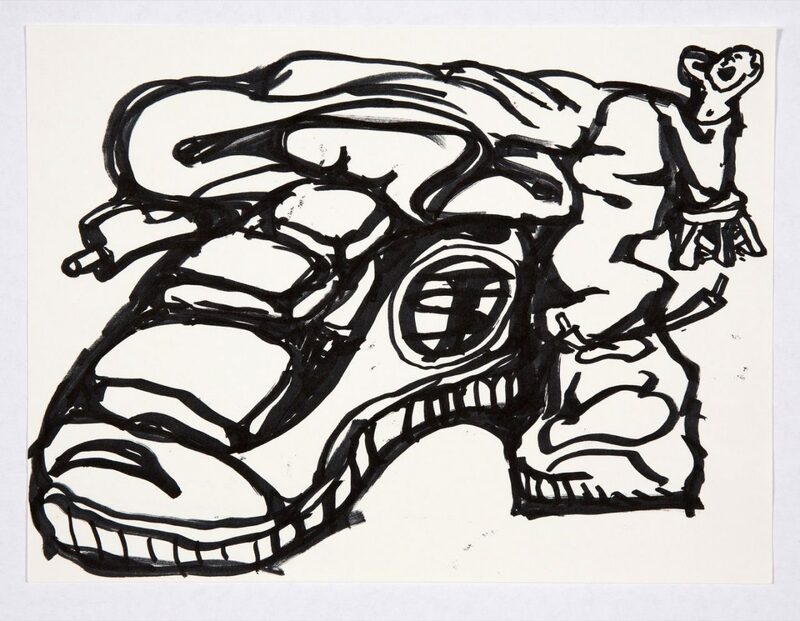 Throughout this exhibition, the artists become loosely aligned with the legacy of art brut, working intuitively in their medium to gesture toward something beyond a physical reality. 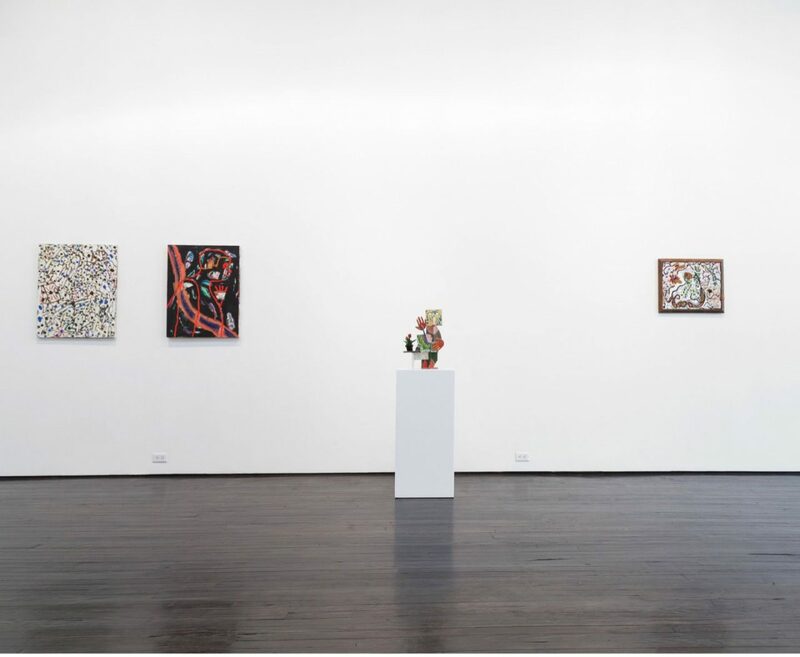 While the works on view range from highly meticulous to purposefully unrefined, the sincerity of these artists’ practices is palpable within each intimately crafted object. Yevgeniya Baras’s small scale canvases reconfigure abstraction as symbolic investigations considering language, the body and landscape as themes and associations within her practice. 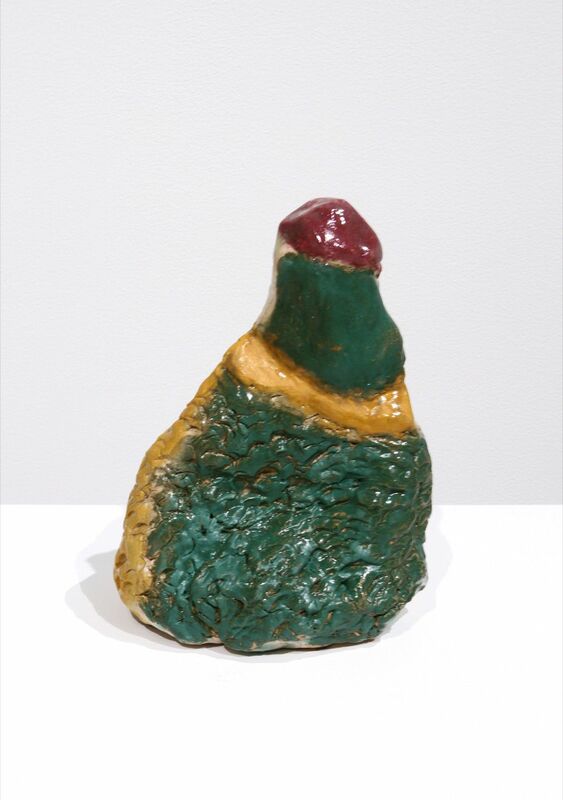 Acting as sites for contemplation, these constructions reflect and echo the functionality of amulets or talismans. 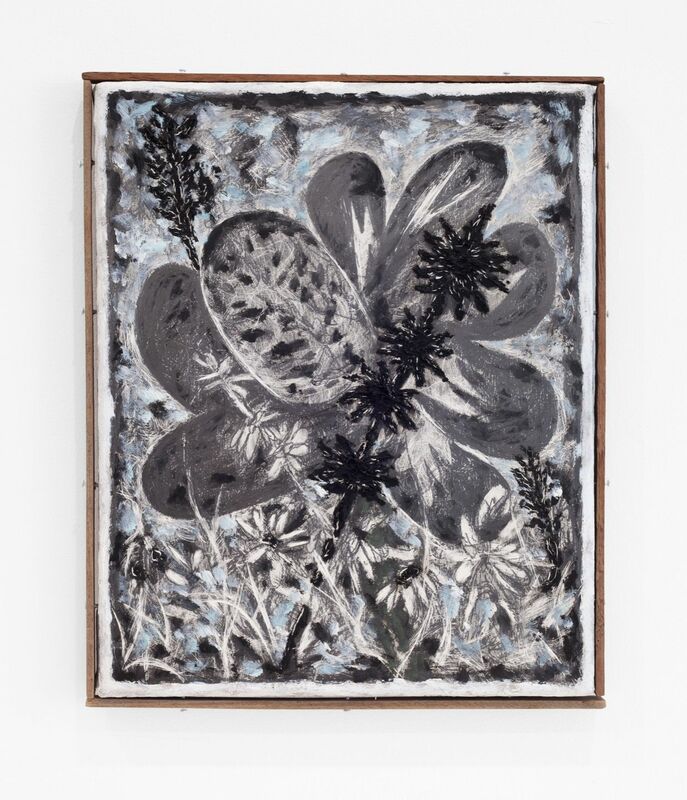 Revealing both formal and mystical evocations, Baras combines elements of found and archival materials into a somber alchemy that allude to the conditions and capacities of the mind. 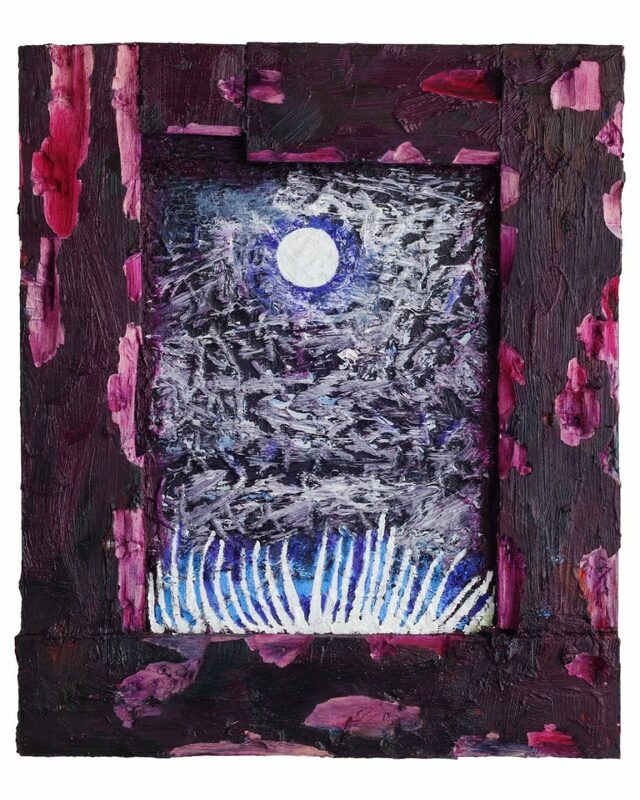 Incorporating sawdust, clay, and sand, Britta Deardorff’s heavily textured compositions are personal explorations into the structuring of allegorical, philosophical and scientific ideas. 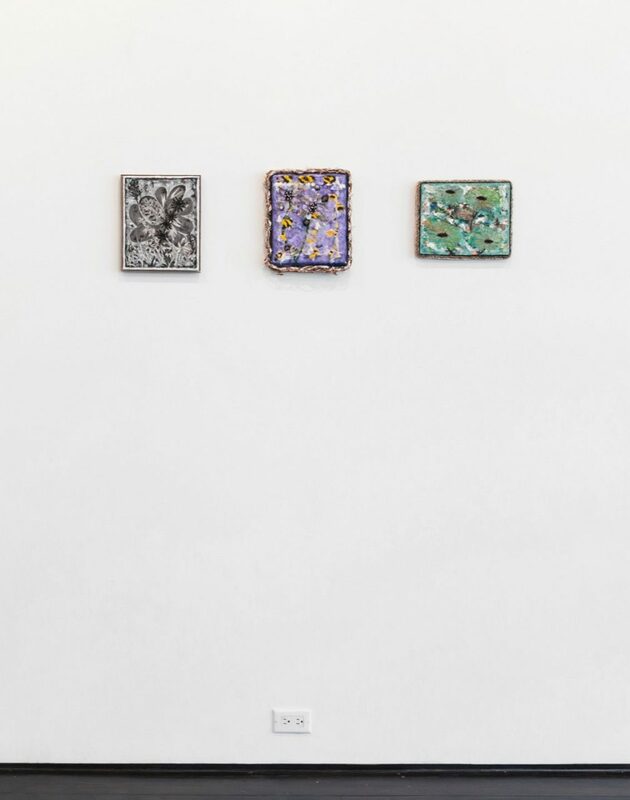 These works, which border on relief in the dimensionality of their surfaces, are loaded with symbolic meaning and emotional content, charged from within as if conduits to a spiritual plane. 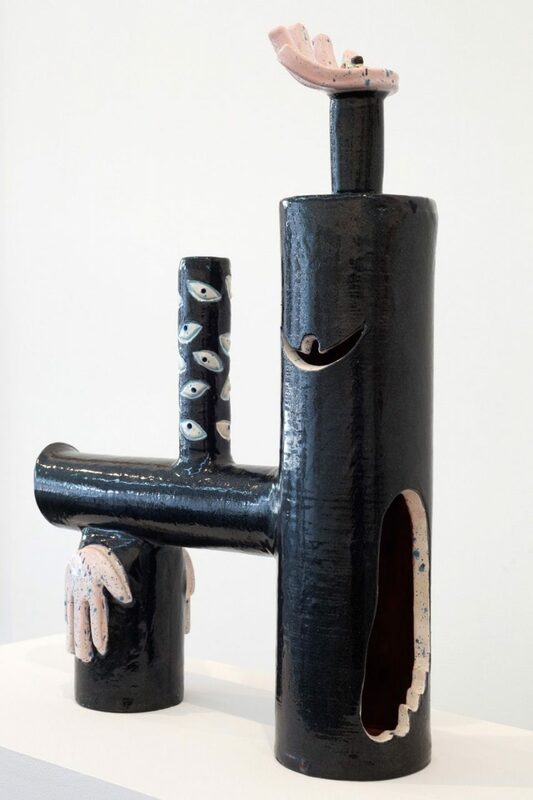 Louise Despont’s highly meditative process articulates the conditions of the mind, the self and the subconscious. 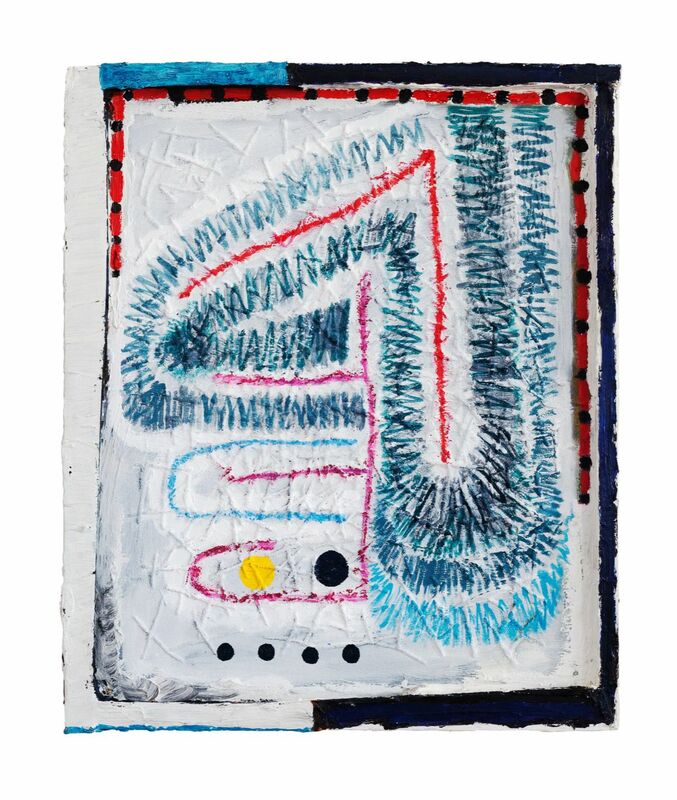 Exploring drawing as abstract mediations, Despont balances and integrates symbols and forms to link her art to the inscription of narratives and to mystical or literary concerns. 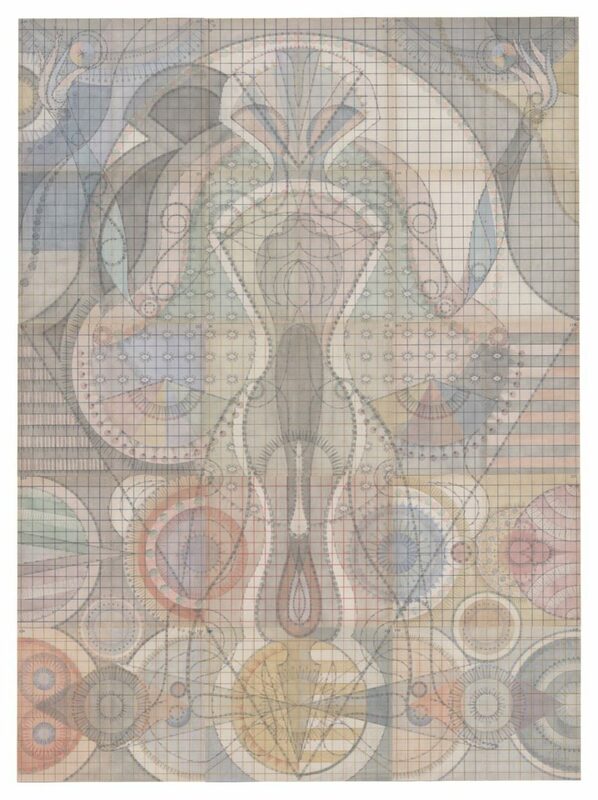 Employing and recasting a vocabulary of elements and constructions found within a set of architectural stencils and compasses, Despont renders her drawings on the pages of antique ledger books. 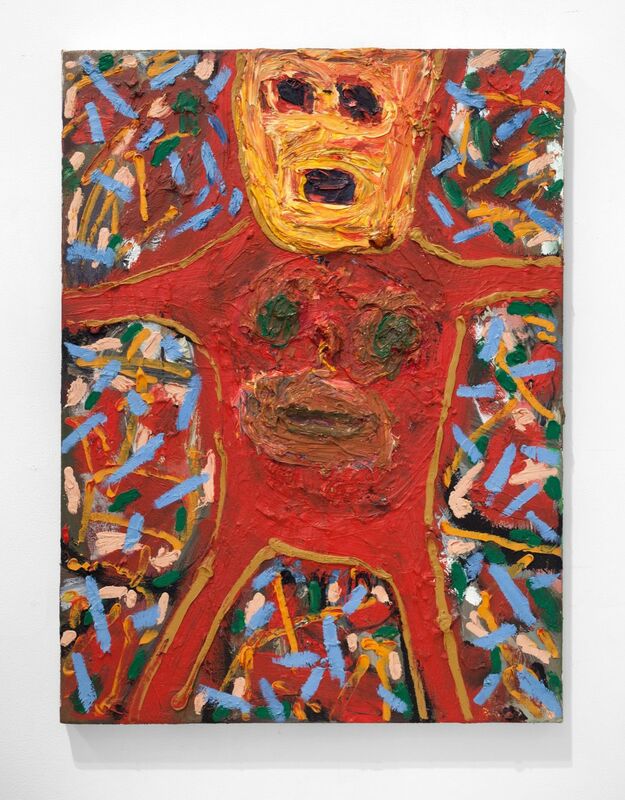 Gerasimos Floratos’s large scale figurative paintings represent cramped and distorted reflections of the customers and loiterers that drifted in and around his family’s deli in Times Square. 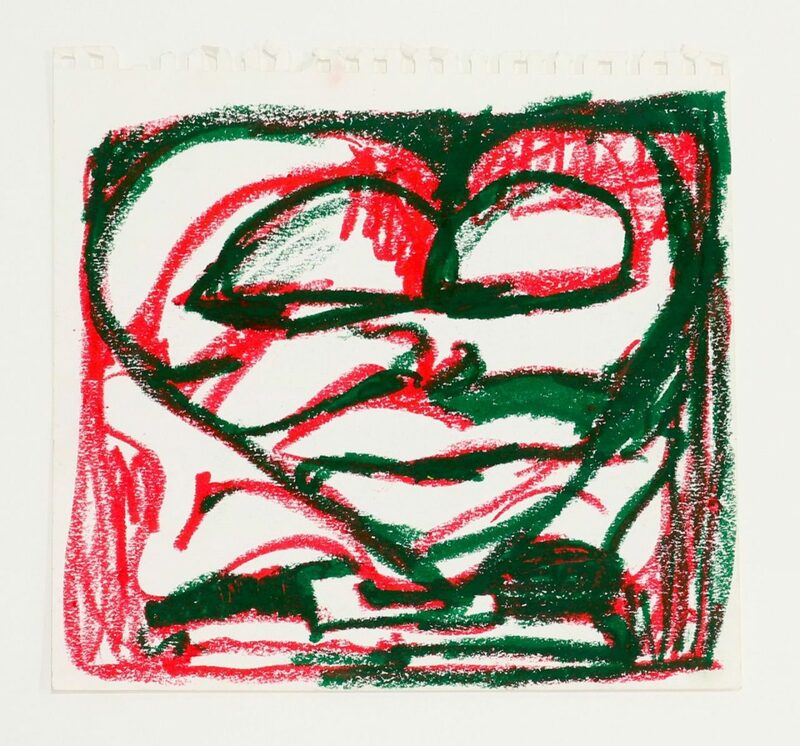 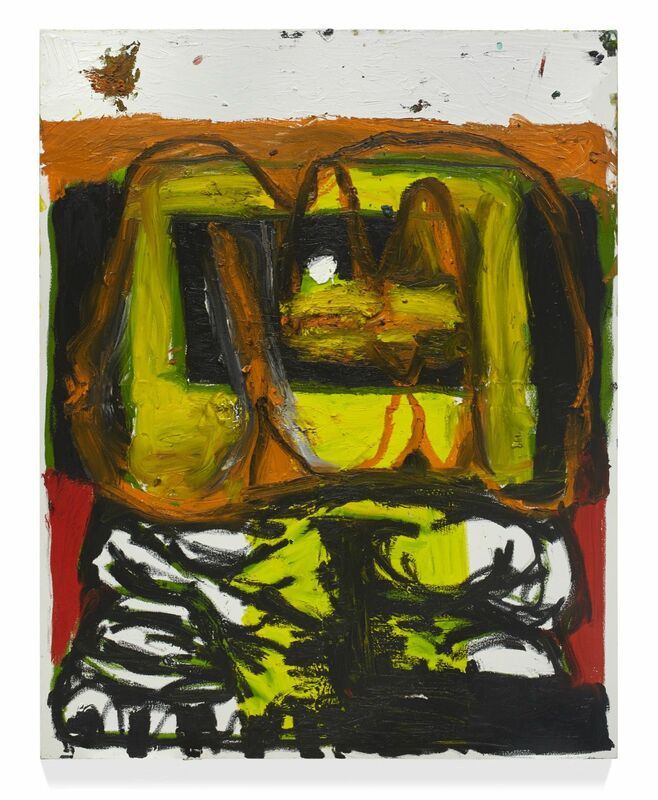 Expressive and raw, both in the materiality of the canvases and the characters he portrays, the self taught artist leaves his aesthetic purposefully unrefined to correspond to his protagonists with whom he identifies. 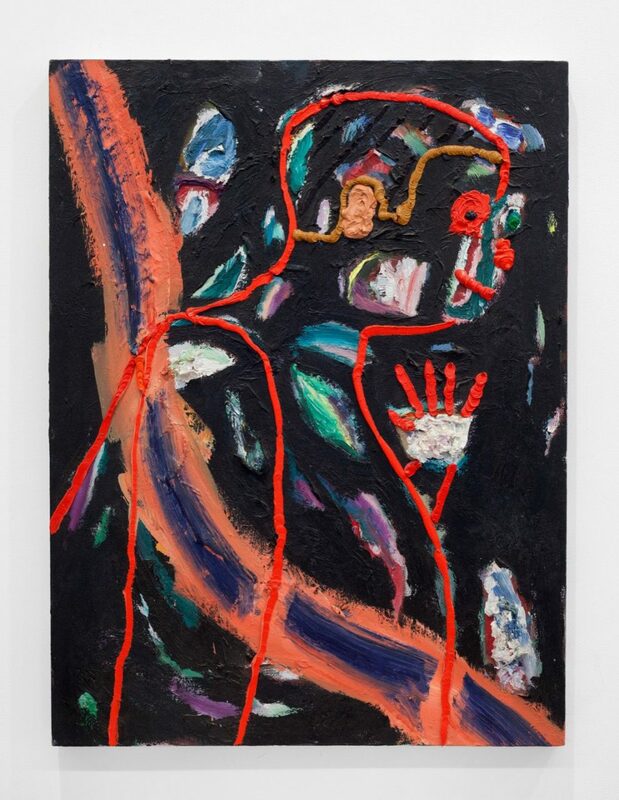 Matthew Clifford Green’s crude and rudimentary characters fluctuate in their levels of figurative detail through his use of layered paint and impasto. 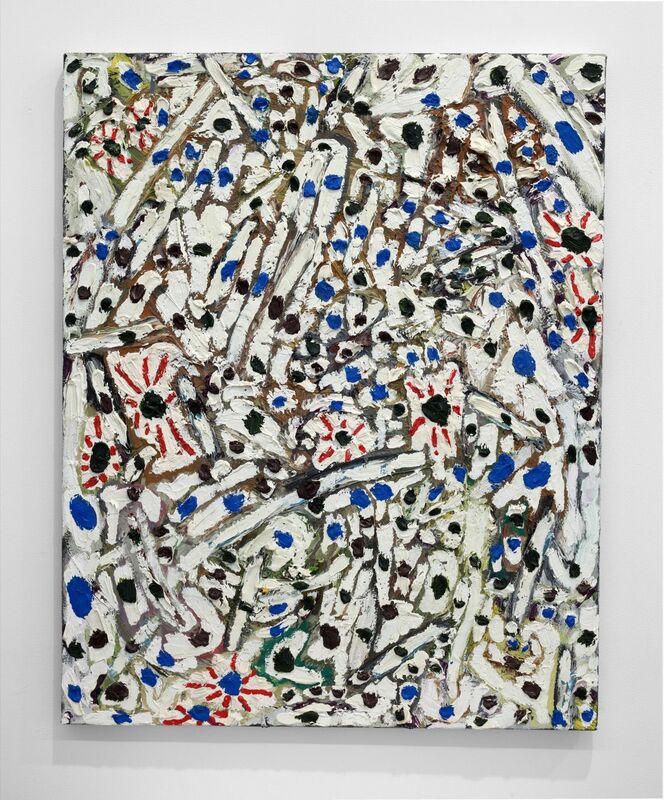 These works, heavy with discordant colors and gritty facades, are as much about the paint on their surface as they are the architecture of paint beneath. 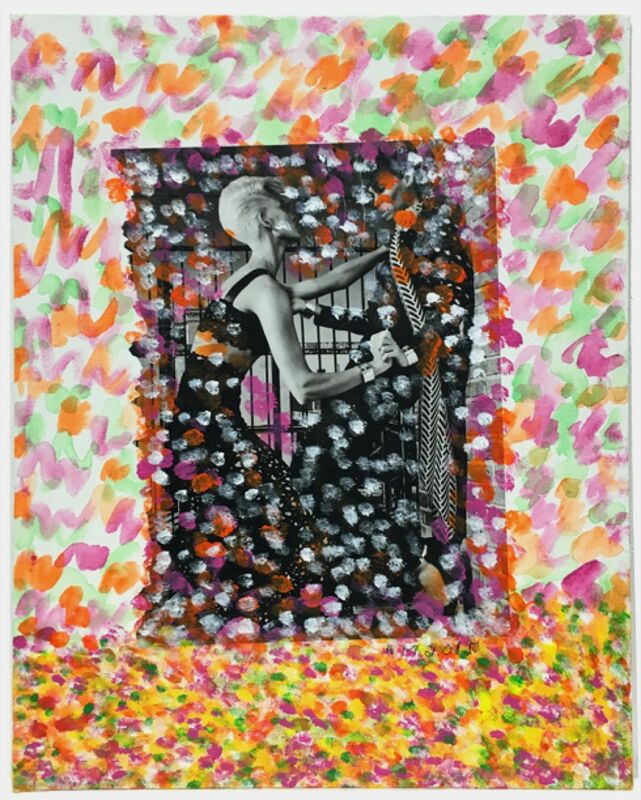 A combination of scraped across, squeezed on, and pushed around marks celebrate a free and unplanned approach to the construction of a picture. 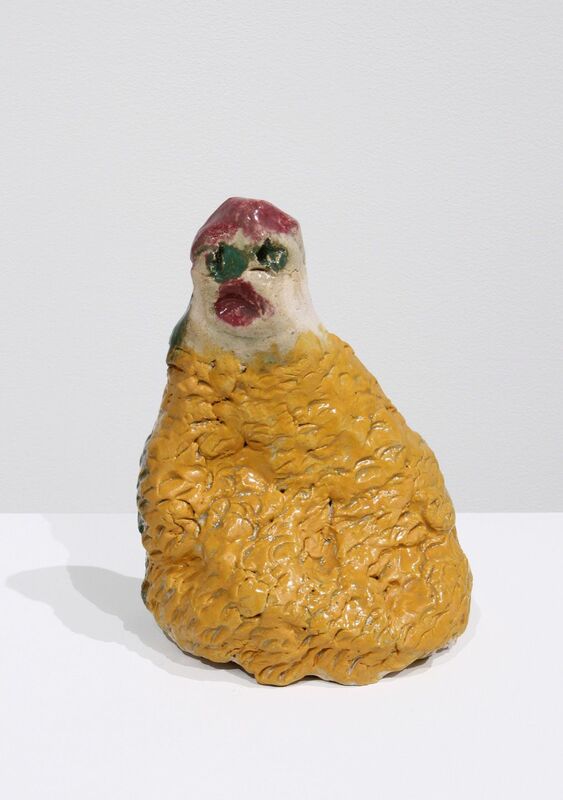 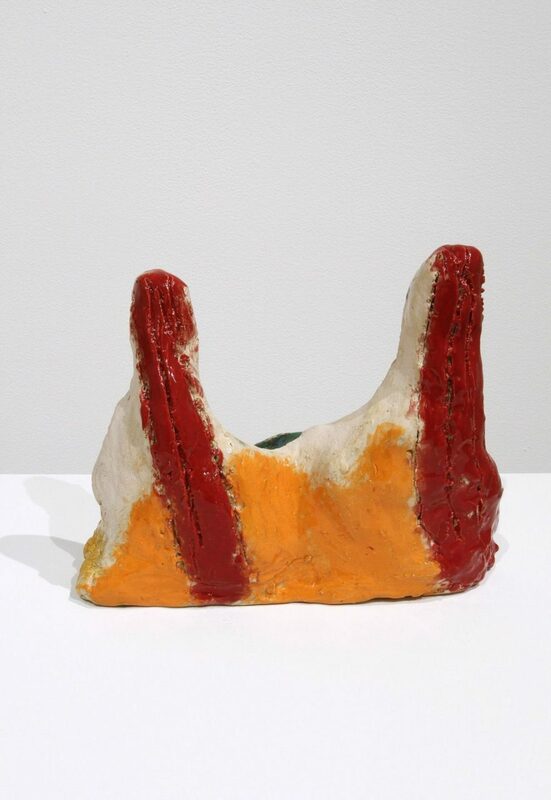 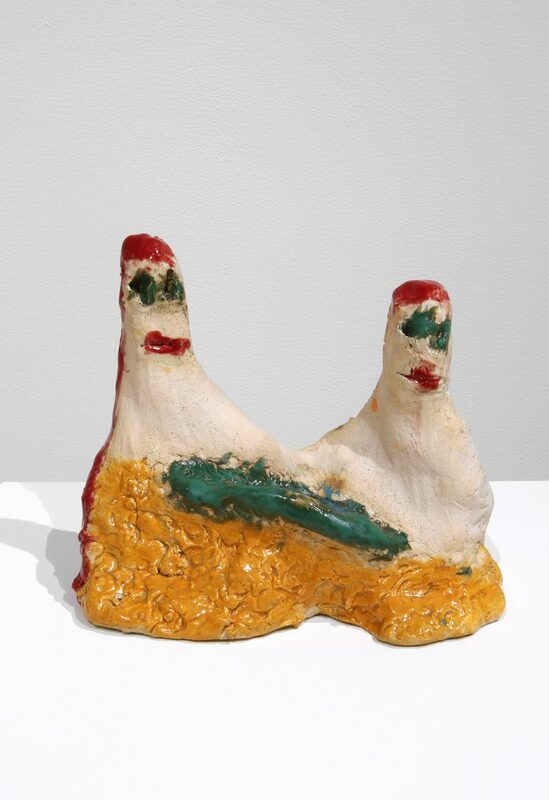 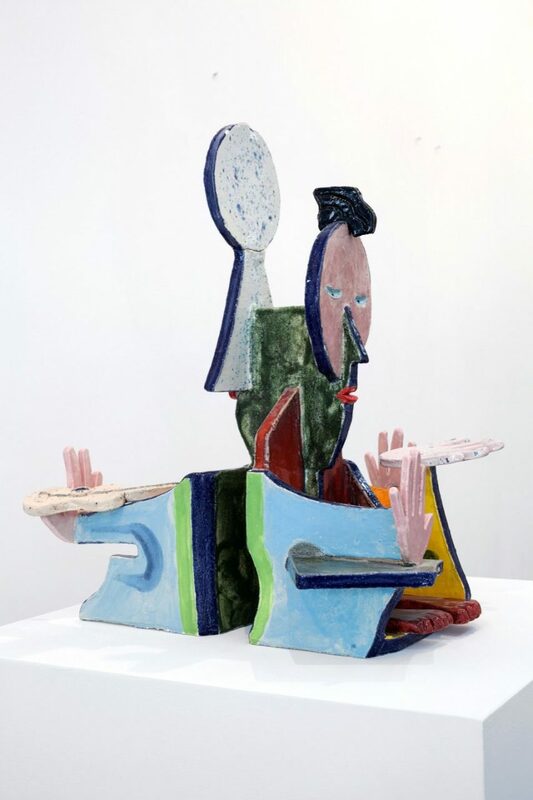 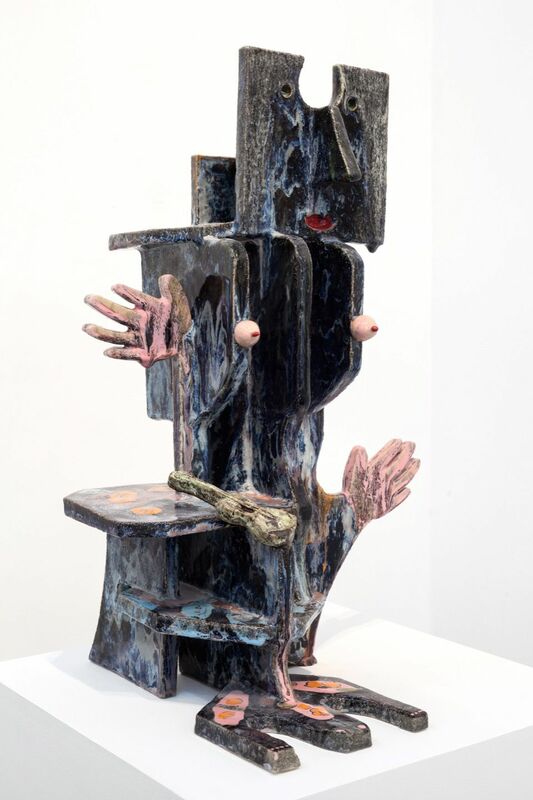 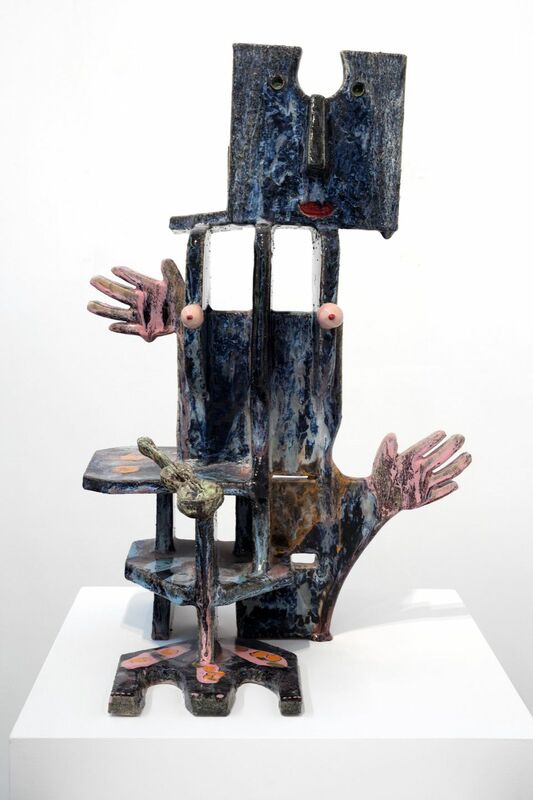 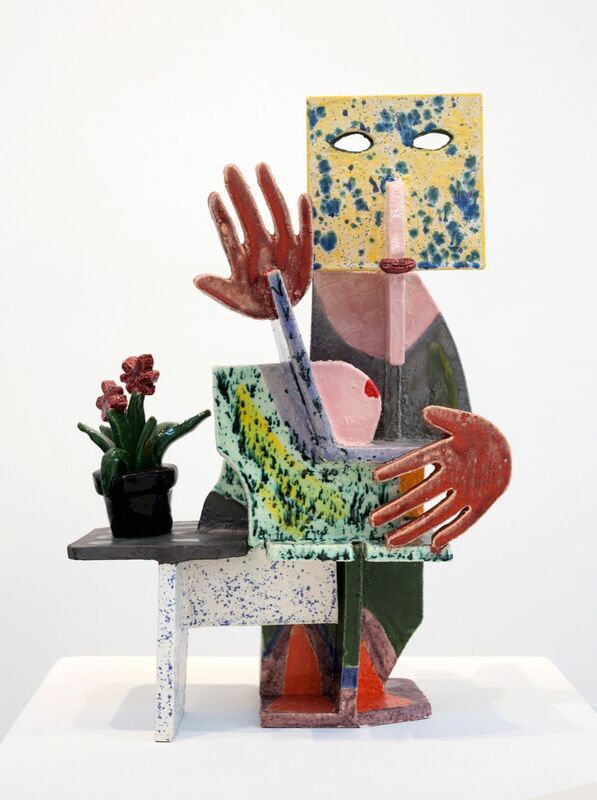 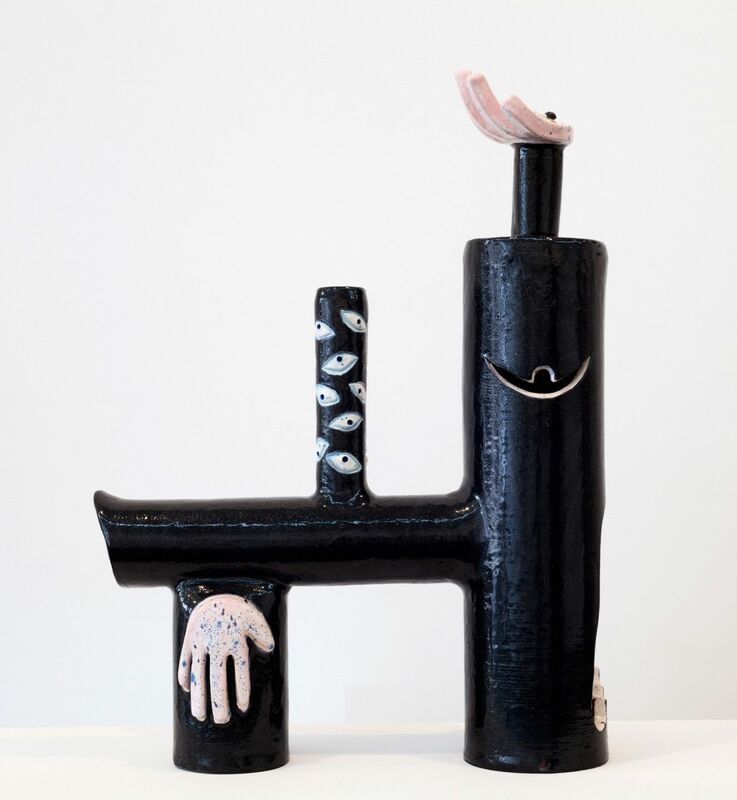 Alice Mackler presents examples of both ceramic and collage work that together evoke a unique perspective on the female figure. 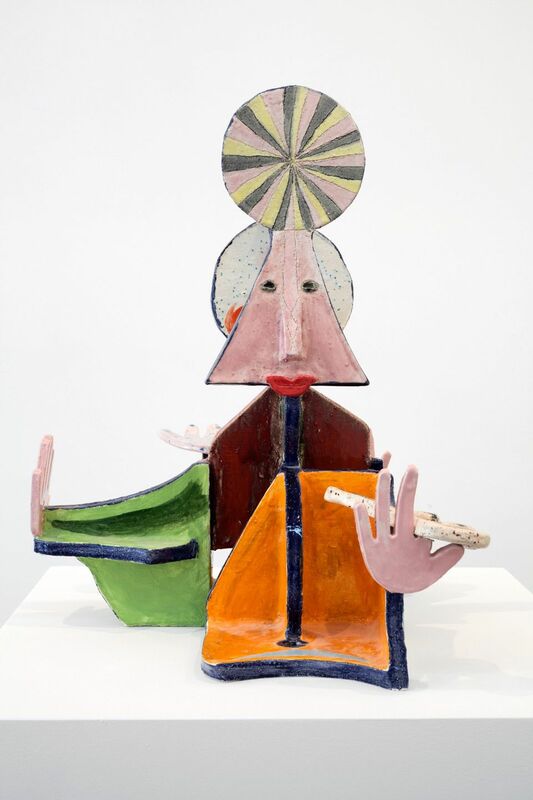 Her elegant, colorful figures seem to evoke ancient fertility symbols, where women were celebrated and idealized for their curvaceous bodies. 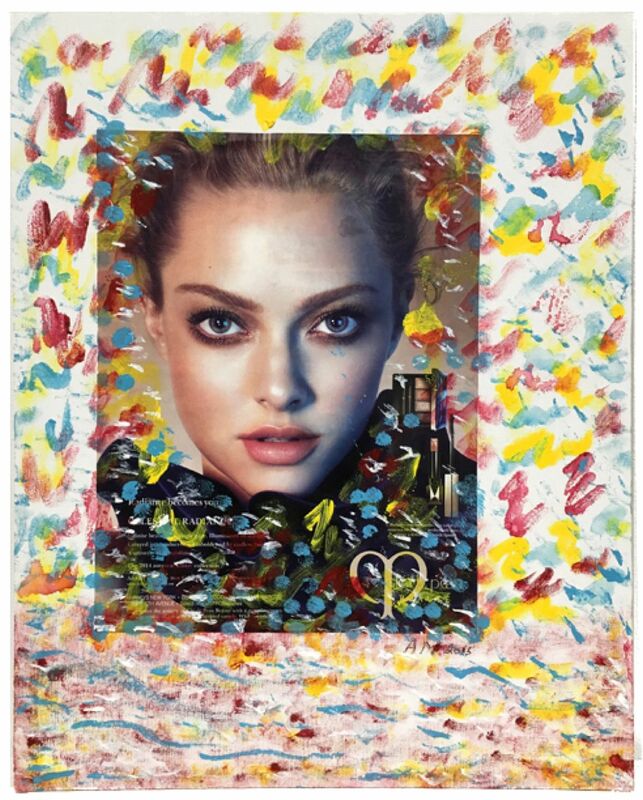 In dialogue with these are several incredible examples of Mackler’s collage/paintings that incorporate mediated images of more contemporary ideals of the female form. 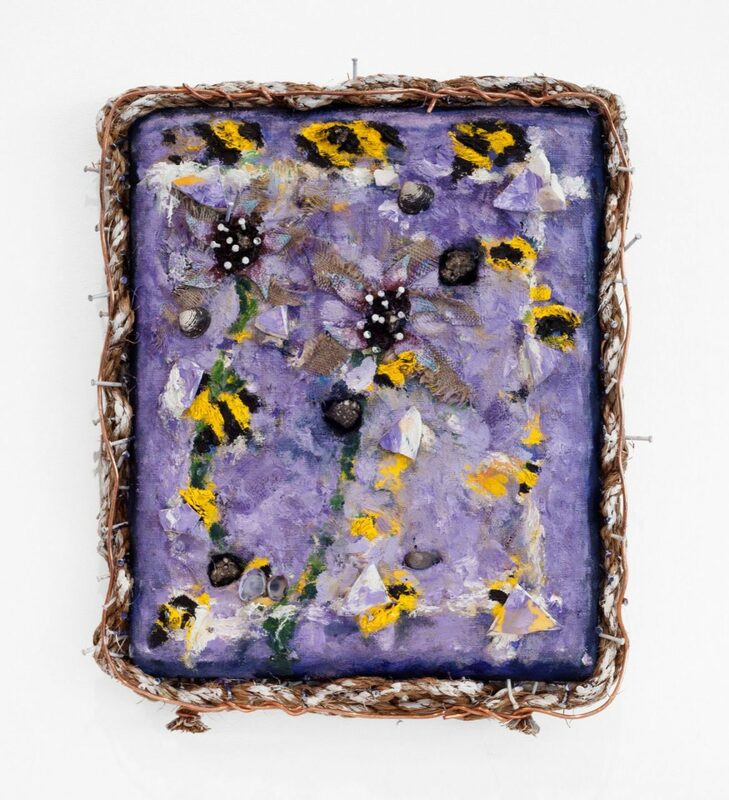 Offering an autobiographical investigation into landscape, Daniel Rios Rodriguez’s small scale paintings integrate various fragments and objects collected from in and around the San Antonio River where he lives in South Texas. 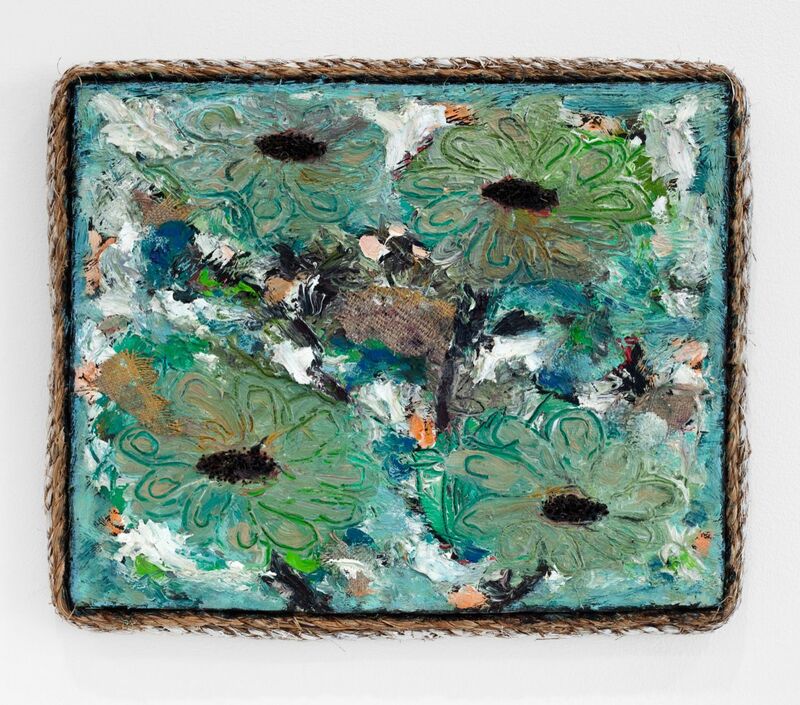 Feathers, shells, river rocks, snake skin and found rope are encoded into the works, rendering deftly luminous landscapes where subtle forces are at play throughout the canvas’s emblematic space.